Christy Hays’ two recent EPs, O’ Montana and Caliche, reflect both the singer/songwriter’s complicated, dual nature and the sounds of the many places she’s called home. O’ Montana is a gorgeous folk and country-flavored solo collection and a natural progression from Hays’ 2012 album Drought. Caliche, on the other hand, is a band effort that indulges Hays’ occasional desire to plug-in and rock out. The result is an Americana rock and roll record with an occasional psychedelic flourish. Hays’ band, also called Caliche, came together after she met and formed a years-long partnership with the talented Lauren Gurgiolo of the Octopus Project (and a former guitarist with Okkervil River). Bassist Geena Spigarelli and drummer Andrew Gerfers bolster Caliche’s sound. Despite the difference in approach and musical styles, both EPs capture Hays’ distinctive artistic voice. Her songs resonate with a vulnerable rawness that exposes her emotional baggage and scar tissue, but never veer into self-pity. There is a sense of underlying optimism in her music and resiliency in her voice. Hays’ greatest source of inspiration is nature and wide-open spaces, themes often developed in her songs. The nomadic Hays, who arrived in Austin after an extended stint in Nashville, often tours her former stomping grounds of Alaska, where she lived for nearly five years doing a variety of odd jobs, including a couple summers working as a river guide and living in a cabin with no electricity or running water. A native of the small central Illinois town of Tuscola, Hays can also escape the faster pace of Austin and find a quiet space to write in Butte, Montana. She recently purchased a house that wasn’t actually for sale when she stumbled across it and bonded with its owner, a nationally-acclaimed writer. He negotiated a generous deal with Hays when she shared her vision of the house as an artists’ retreat. Hays has graced stages throughout the U.S. and toured internationally. She’s been an official performer at SXSW, and she’s worked with the likes of Bruce Robison and Hayes Carll. Hays has also collaborated with some of the top talent in Austin, including The Carper Family, Jonathan Terrell, Ali Holder, Brennen Leigh, and members of Wood and Wire. Hays grew up listening to ‘60s and ‘70s rock and country and ‘90s alternative, before being turned onto singer-songwriters like Patty Griffin, Kasey Chambers, and Kathleen Edwards. But from the beginning, she was inspired by her musician father Steve Hays, whose first guitar (“a lovely, vintage Gibson”) she still plays today. 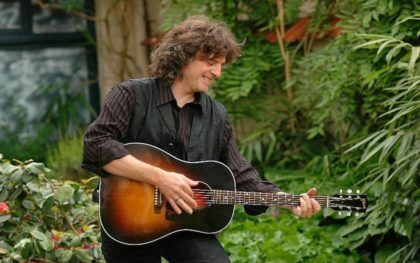 Fans of artists like Lucinda Williams, Emmylou Harris, Joe Pug, the Old 97’s and Neil Young will find much to love in the music of Christy Hays. (The above written courtesy of Travis Truitt for ChristyHays.com.) 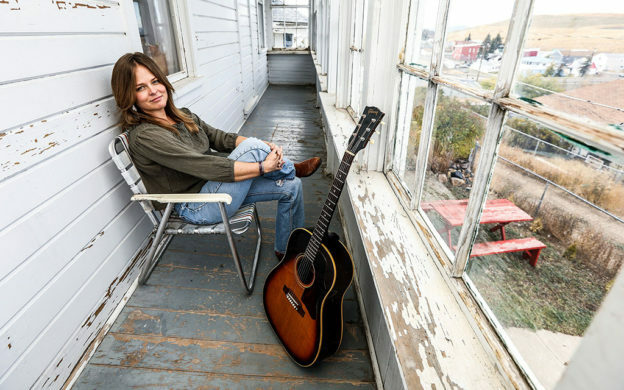 The talented singer/songwriter has quickly made Southwest Montana her home away from home, performing at countless venues in her relatively short tenure under the Big Sky. In anticipation of a handful of more upcoming local shows, The Rolling Zone was able to get Christy on the phone during her trek north from her Texas base. Despite a quick loss of cell service, the itinerant musician shared some stories of life always on the road and how fully committing herself to the craft has shaped her future. This entry was posted on March 29, 2019 by John Parker.